is made up of a husband and wife team, Tim and Debbie Sak, with a passion for creating artistic images. We take pride in capturing the special moments that you have pictured, and turning them into lasting memories. Tim is the lead photographer and is certified in digital photography through the New York Institute of Photography. 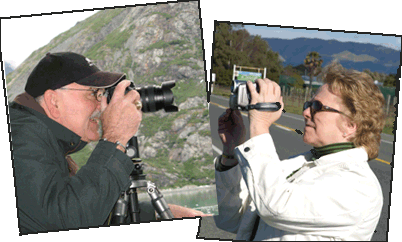 Tim and Debbie have both received one-on-one training from renowned photographers and trainers such as Vincent Versace, Scott Kelby, David Ziser, Clay Blackmore, Dave Cross, Laurie Excel and Moose Peterson. Please take a look around in our galleries and get a feel for our style.